Our theme for June was certainly very relevant with all of the scorching weather that we’ve had. We’ve got the topics right here in the UK. It was only fitting that you shared your sunny and summery tropical makes with us. View all of the #MarrinerinTropics entries here. 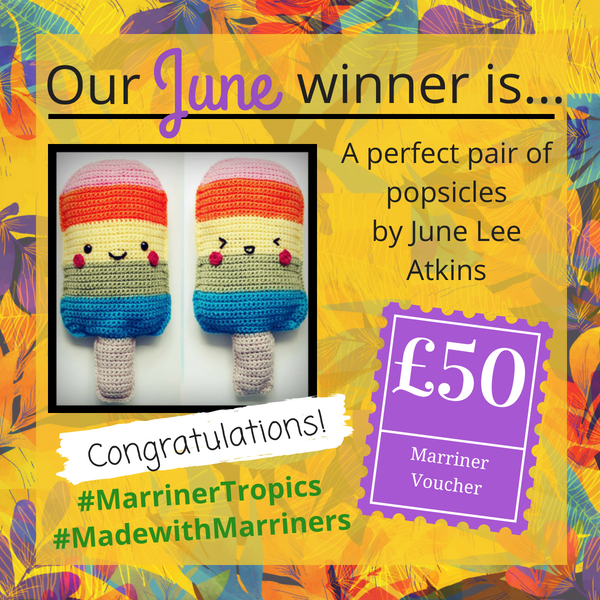 If you missed out on our #MarrinerTropics competition this month, don’t worry! There is another chance to win as we move into our July monthly competition. We are loving these summer months so far. This unusually good British weather has everyone in a good mood; there’s trips to the beach, picnics in the park and even mid-week BBQs. So many special summer memories are made around these foodie occasions, so we would love to see all of your fabulous food creations. 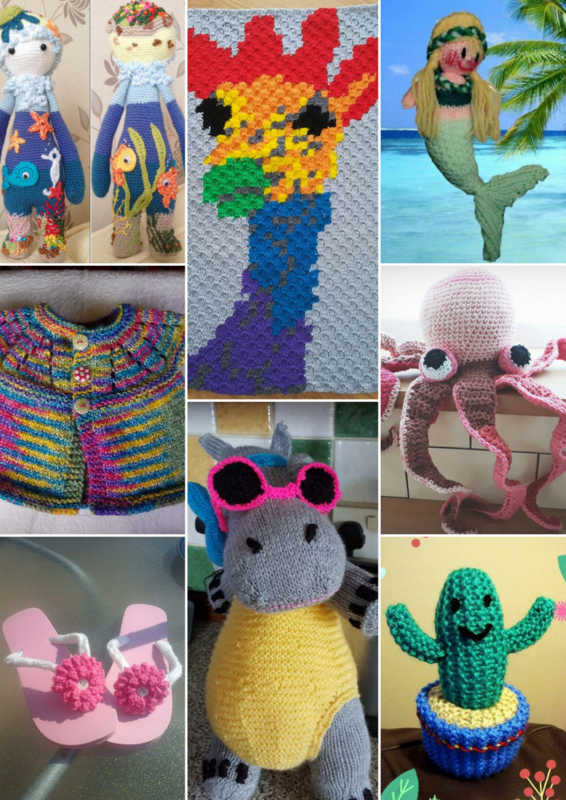 If you’ve knitted a hot dog, crocheted a fruit salad, or produced a posh afternoon tea – we want to see it! Use our hashtag #MarrinerPicnic to share you photos! Share your photos (don’t forget the hashtag!) of your Marriner yarn creations with us on Facebook, Twitter and Instagram to be in with a chance of getting your hands on that £50 voucher.